At the Hotel Carmel Rome, we pride ourselves on offering a quality level of service to all our guests, all at affordable prices. With our traditional and rustic interior and tastefully decorated room, you will feel immediately welcome. 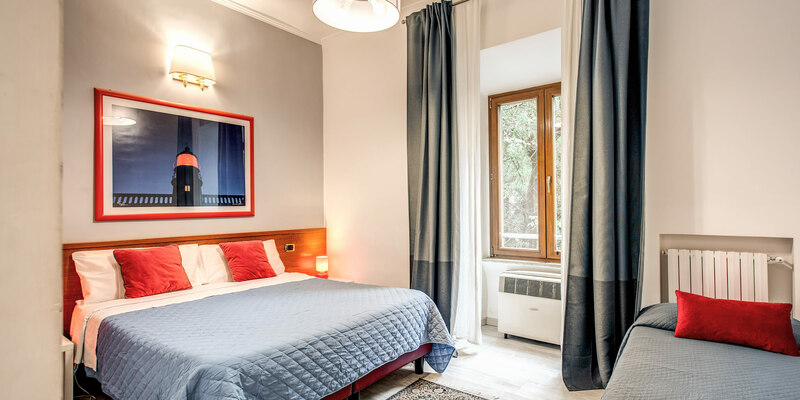 This level of comfort at the prices we offer simply cannot be matched at any other budget priced accommodation in Rome! The reception is open for Check-in from 12:00 to 20:00, although guests who anticipate a later arrival will of course be welcomed by a member of staff – please let us know if you expect to arrive outside these normal hours. Guests are asked to check out by 12:00 on the day of departure. We’ll also be on hand to help you with any questions you have about Rome and provide tourist information and maps. We are happy to recommend a few of the many restaurants in the Trastevere area, although you will more than likely be happy to explore the area yourself! The Hotel Carmel permits guests to bring pets at no extra charge, but please advise us when Booking. ITALIAN BREAKFAST: Milk, coffee, tea, bread, butter, marmalade (various flavours), honey, corn flakes, rusks, fruit juice. Breakfast is included in the price and is served on the veranda overlooking the terrace, which is also available to customers Kosher Breakfast is available upon request for a suplement of 5 euro per person per day. NB this service is not available during the Pesach. .
Feel free to use our lovely garden terrace area to enjoy a peaceful glass of wine or coffee at the end of a long exploring the wonderful city of Rome. Extra pillows and blankets are available on request and our housekeeping service will ensure your room remains spotless during your stay. We also provide storage for your luggage if required. 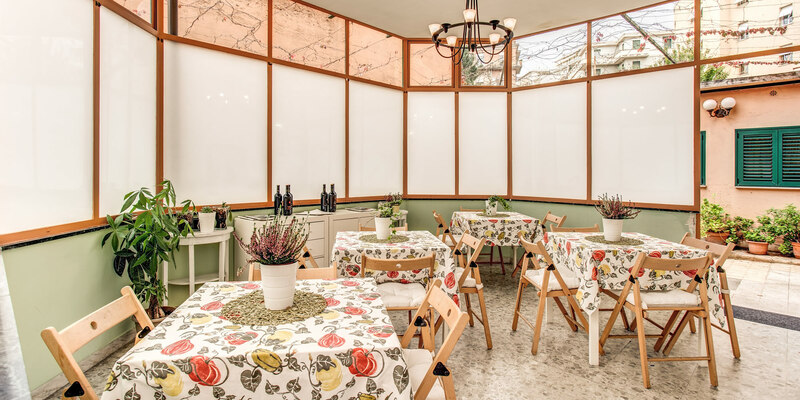 We are able to cater for all your Shabbat needs and offer kosher assistance, including access to a Halavi kitchen facility – just ask and we’ll help oblige in any way to assist you during your stay in Rome!